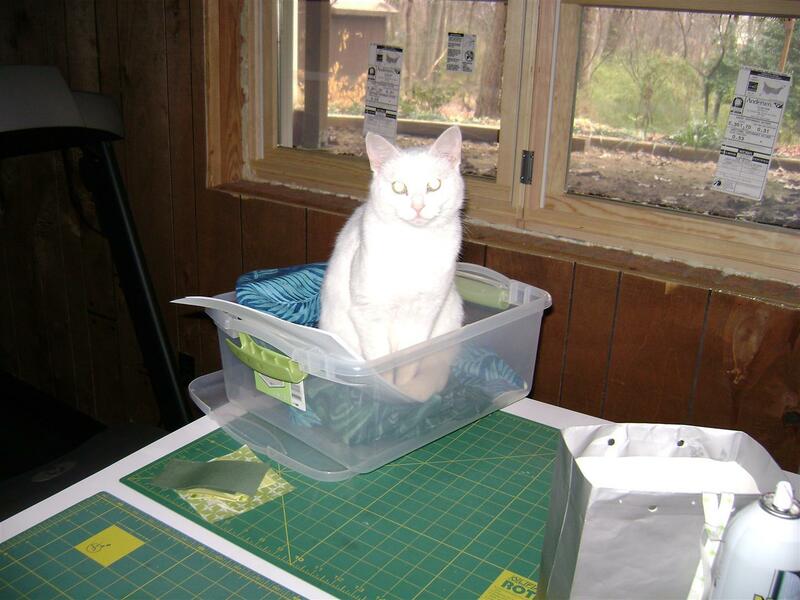 As of this past Christmas, I have a new “helper” in the sewing studio. His name is TAZ (well named after the Tazmanian devil!) and he guards the fabric. He also rolls in it when on the cutting table. He attacks it when it hangs off the ironing board. It’s not just fabric, it’s all things sewing related he loves. When living with us only one week he consumed a threaded needle. 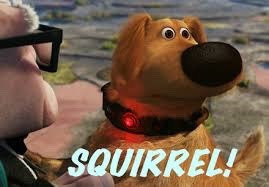 I totally freaked. Luckily he passed it 3 days later – the needle was still threaded and he was fine! 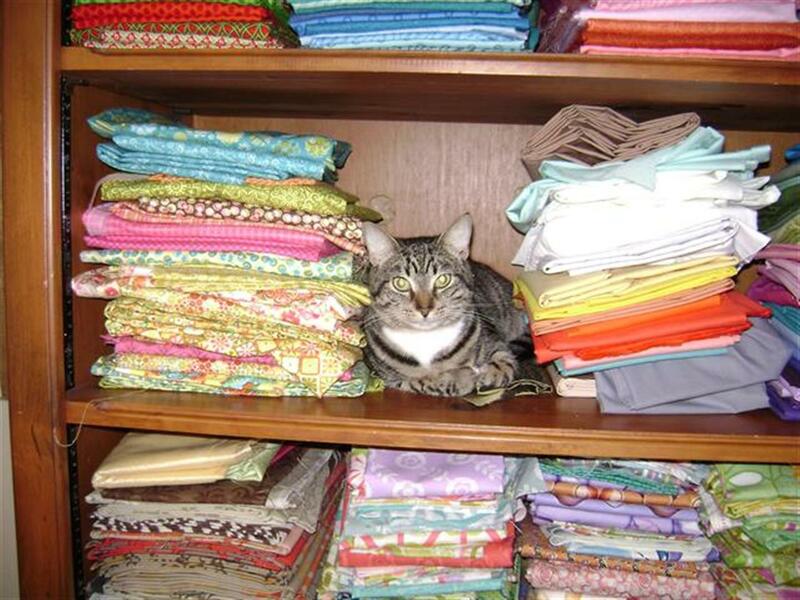 I must put everything – I mean everything – away whenever I’m done sewing. Anything left out is a written invitation for him to frolic the night away. I guess the upside is that I always have a tidy sewing space. He does get a little help from our Miss Snow – thankfully she guards but does not play with anything. Snow – She’s the innocent one! Do you have a helper in your studio space? Love those kitties. How is sad cat? Sad Cat is fine. Sadly, however, Snow has been missing for 2 days.